Have you heard of The Yacht Week? 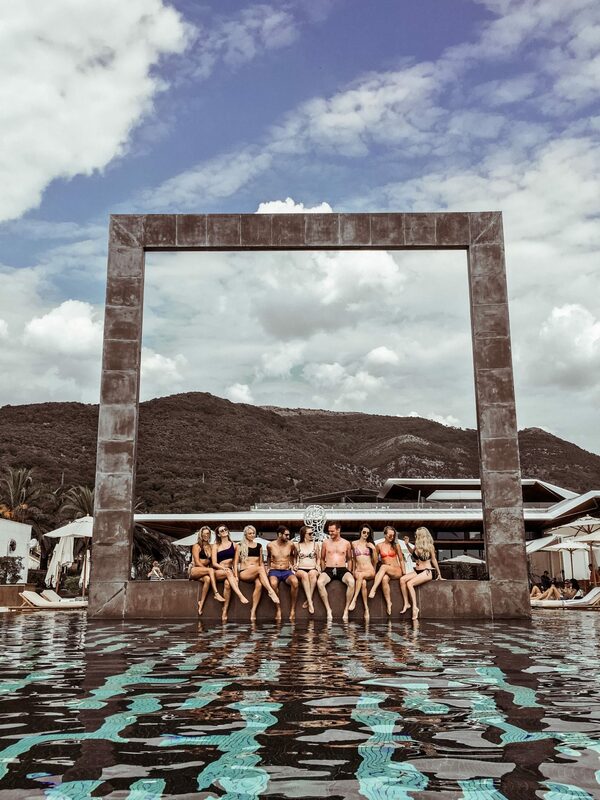 If you follow along on my instagram stories, I’m sure you saw that I ended my Europe trip with a week in Montenegro doing an amazing trip – The Yacht Week Montenegro. Today I’m going to recap our adventures in Montengro and tell you more about The Yacht Week, which I swear is the vacation that every young professional should do at least once in their lifetime. Let’s start with the basics. The Yacht Week (“TYW”) describes itself as: “a series of boutique floating festivals in 6 destinations across the world”. I describe it as: renting a yacht with 9 of your friends (you get given a skipper along with your yacht), and boating around for a week along with 15-50 other yachts (depending on the route). Every day has either a TYW day party or party organized at the Port you dock in that night. Some days have both; and yes that is as fun, exhausting and basically insane as it sounds. There are a number of TYW routes; Yacht Week Montenegro was my second yacht week – I did the Greece route back in 2014. Each route has a bit of a different “vibe”, if you will, so look into that when making your choice. For example, Croatia route has a reputation for being a bit of a younger crowd and more insane on the parties. Montenegro is slower paced and a bit more chill. Greece, in my opinion, is a perfect happy medium. Where Can I Learn More About The Yacht Week? Head to their website! They’ve got a huge FAQ section, but of course if you have any specific questions leave me a comment and I’ll gladly do my best to answer. Why Is The Yacht Week The Vacation Every Young Professional Needs to Take? 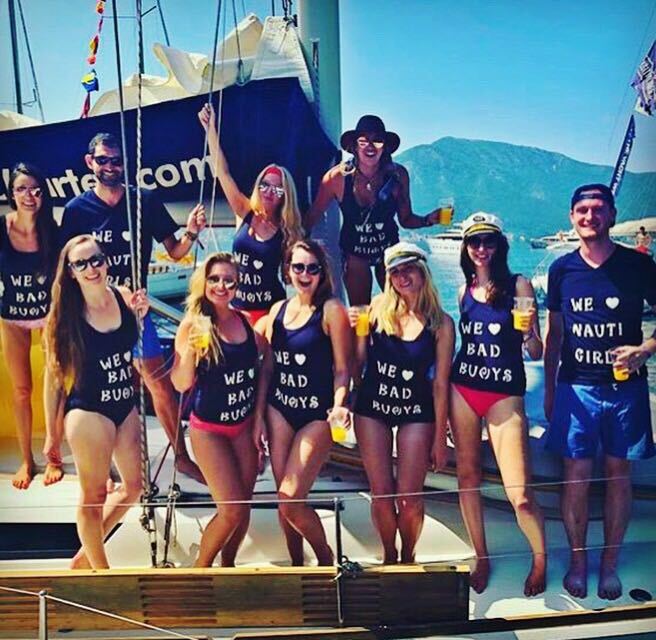 The Yacht Week is like the older, more mature, but still really fun brother of Contiki Tours; (the tours that so many people take in college!) The Yacht Week has a minimum age requirement of 20, and most routes have an average age of 27-32. From personal experience, it seems that most people on TYW are young professionals. From American stockbrokers, to French government employees, to Colombian doctors. The crowd is incredibly multi-cultural and most people are in or working towards careers they love. Basically then The Yacht Week brings together such an interesting group of people, most of whom are mature but are ready to have a ridiculously fun vacation. 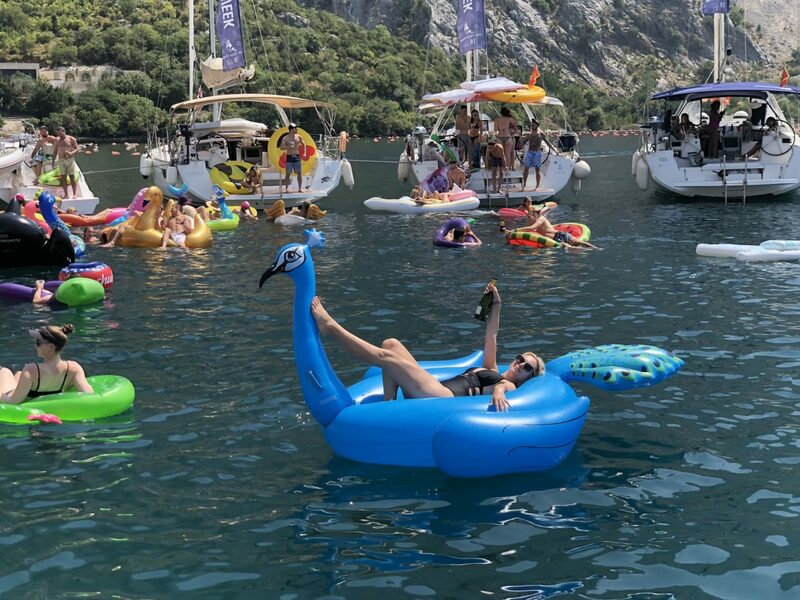 There is nothing like hanging out on a floatie, with a drink in hand, listening to a great DJ, while in a circle of yachts moored in the middle of the water. 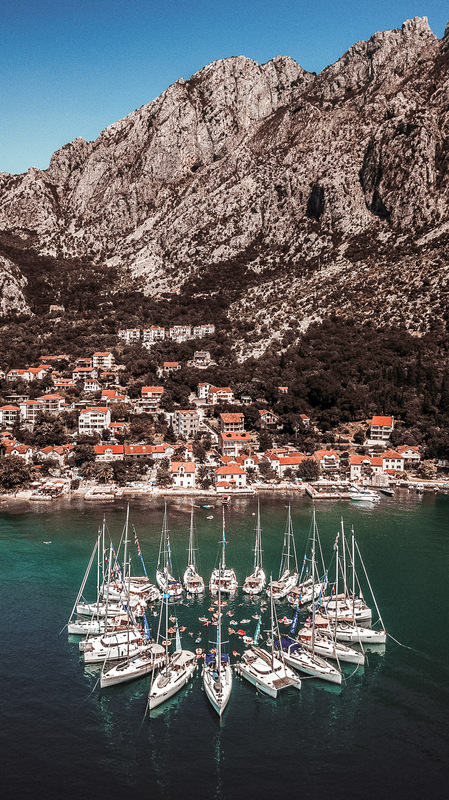 Let’s talk a bit more about The Yacht Week Montenegro route specifically. The Yacht Week Montenegro leaves from the port of Kotor. Day One (Saturday) you check in at the Port and get on your yacht. The yachts stay in the Port that first night. TYW organizes a complimentary dinner and dance party at a restaurant in Kotor. After that you head out! Over the next 5 days you take a route through the Bay of Kotor stopping in Budvha, Herceg Novi, and Porto Montenegro (near Tivat). The exact route changes (I believe) a bit each week depending on bookings, weather, etc. 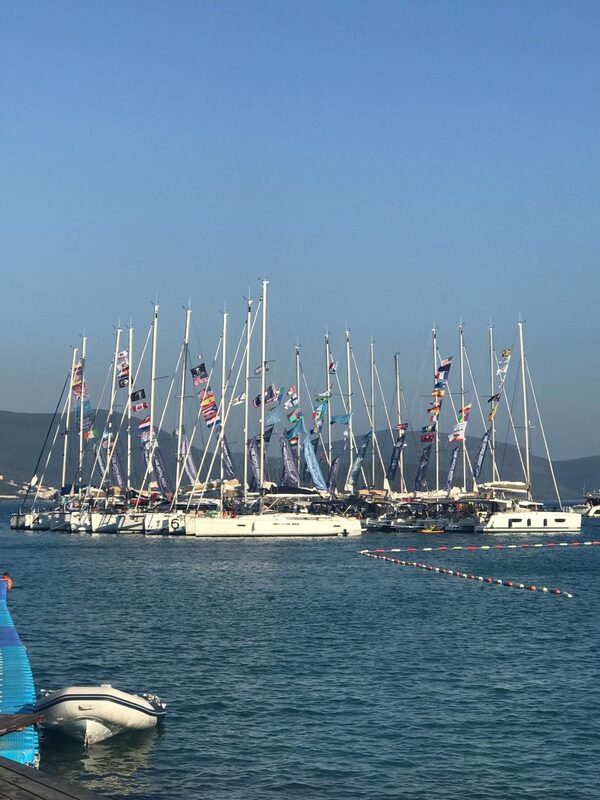 While you are sailing to these different locations there are often day events such as exploring the Blue Caves and TYW day parties such as the circle raft, tunnel raft, and my personal favorite- the Regatta. For the regatta every boat has their sails up and races. Oh, and your team is in costume!! As you can (hopefully) tell below; we dressed up as dominoes. In case you can’t tell; I had the best time on The Yacht Week Montenegro. I went with a group of girlfriends and initially we planned on having an all girls boat. Two girls ended up dropping out last minute and so we filled those spots with two guys; both named Matt, whom we found on TYW crew finder facebook group. Two of my friends on the boat are both professional recruiters so it was actually pretty hilarious selecting the guys for our boat. We interviewed the one via Skype the week before (he was in D.C.) and the other met us at our hotel in Hvar a few days before for an in-person “interview” lol. Probably my favorite part of the whole week was the Circle raft party. I just love having everyone throw their floaties in the middle and hang out together all day. Even if it does lead to a terrible sunburn (…and an even worse hangover haha). 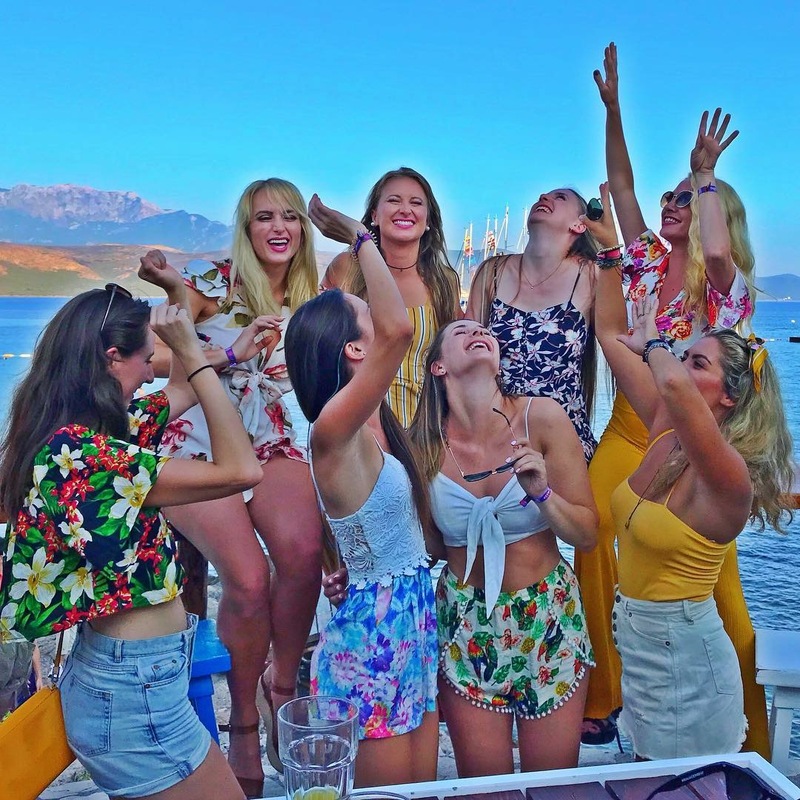 The other parties that I really loved were a daytime pool party in Budva, the tunnel raft day party (same as circle raft but the yachts are moored in two lines creating a tunnel), and the sunset “retro tropical” themed party. Not all of TYW is partying (… just most of it!) There are also days/times to explore the cities and towns you dock at. I really enjoyed exploring Kotor. Once you get out of the tourist area of stores there are some incredible stores (check out the lamp place below) and there is a hike with one of the most incredible views from the top that I have ever seen. The hike was especially cool for two reasons. First, it is definitely nice to get some physical activity in during what is predominately a week full of drinking and lazing around. Secondly, at the top when exploring the ruins you can take some to yourself to reflect, enjoy the view and just be alone for a bit. I may be the most annoyingly social person around (I generally despise alone time) but when you are with people 24/7 for an entire week it is nice to get a bit of time in your own head. 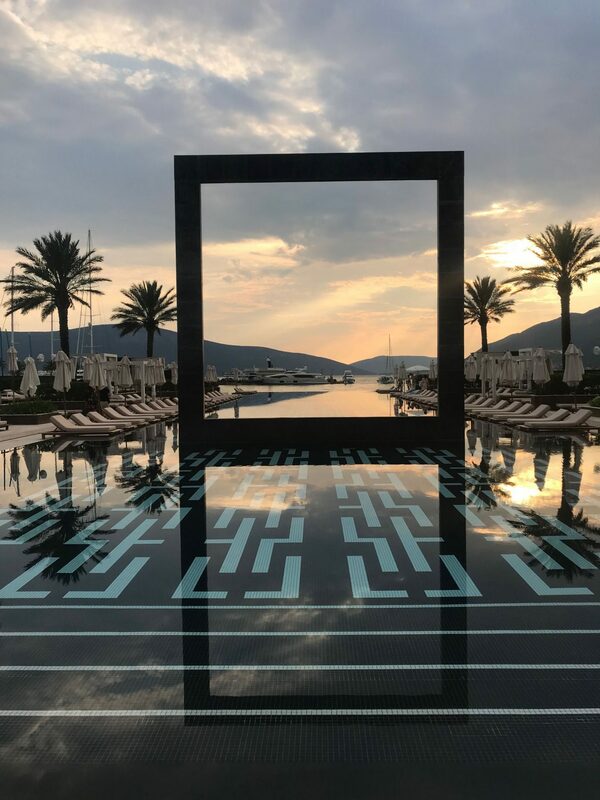 On the last full day of The Yacht Week Montenegro we were in Porto Montenegro; which rivals Monte Carlo as the most luxe, wealthy city I have ever seen. Prime example: it has the highest population of super yachts in the world. It is definitely a glimpse into how the 1% live. I have no idea what the picture frame style statue in the middle of the pool is all about but I am so down with it! Probably my biggest unexpected favorite thing from the tripe was our day at a water park in Budva. We actually had an extra day in Budva due to the weather not allowing us to sail as expected. So, given that we had already seen the town of Budva, we decided to go check out their water park which everyone kept talking about. 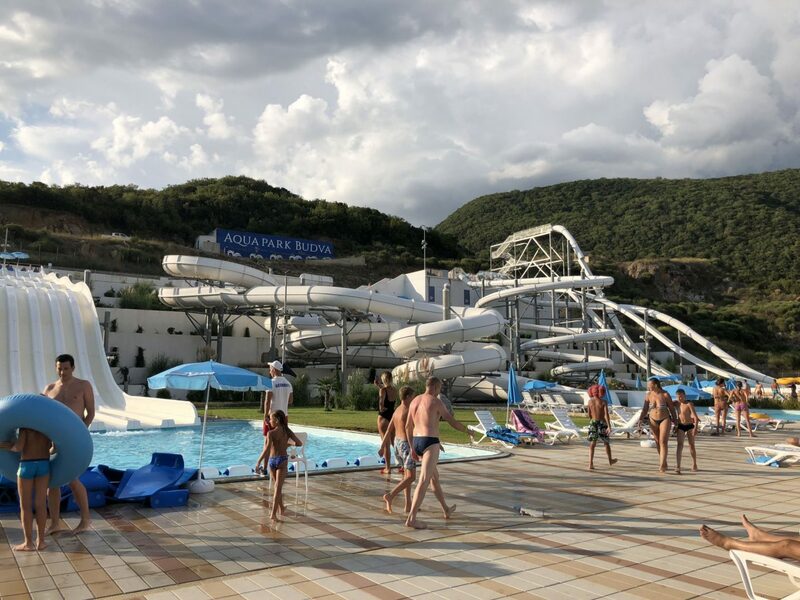 It did not disappoint; and is probably one of the best water parks ever (I swear some of the slides are way too high/dangerous to pass Canadian standards) and the view from the whole park overlooks Old Town Budva and the Port below. Keke tried to murder us in our sleep. Allow me to explain. Keke was our yacht. We loved Keke. We laughed (a lot) at the fact that a group of Canadian girls got a yacht named Keke, right in the heat of the popularity of Canadian golden boy Drake’s “In My Feelings” song (.. which if you don’t know it is the one with “Keke, do you love me?” as its’ chorus). Unfortunately, Keke did not love us. Keke had a number of significant problems, including the fact that something broke in the battery and it emitted the most disgusting smell (which could be smelled even 4 boats over from us in the marina). The smell was a noxious substance that, yes, could cause significant health risks and even death. We were not even allowed to sleep below deck one night (and it should have been two) because of the health risks. This was clearly not a fun situation (and we are still in talks with TYW about how this should be treated and resolved – as it really was not okay that we couldn’t sleep on the boat we paid for and they had no alternative suggestions nor help for us). That said, I feel so lucky to have had such an amazing crew for our The Yacht Week Montenegro trip. We all took it seriously and dealt with the problem, but also found a silver lining in it and turned it into the biggest running joke of the entire trip. Believe me when I tell you everyone knew about the Matt’s, the Canadian girls, and the murderous, smelly Keke. Speaking of my amazing crew and everyone’s ability to make the best of a bad situation; another one of my favorite moments from the whole trip was having a dance party on Keke in the rain. Yep, it rained one evening in Budva. This could have been a disaster (and I heard so many other boats complaining). Our crew, on the other hand, took it in stride and we hung plastic to keep us dry, brought out our speaker (which randomly had 80s style disco lights) and ate and drank and danced on the boat. One of the Matt’s took over DJ responsibilities and created the most hilarious/epic playlist for said dance party, with songs including: It’s Raining Men, Umbrella, & purple rain. It was such a fun experience. 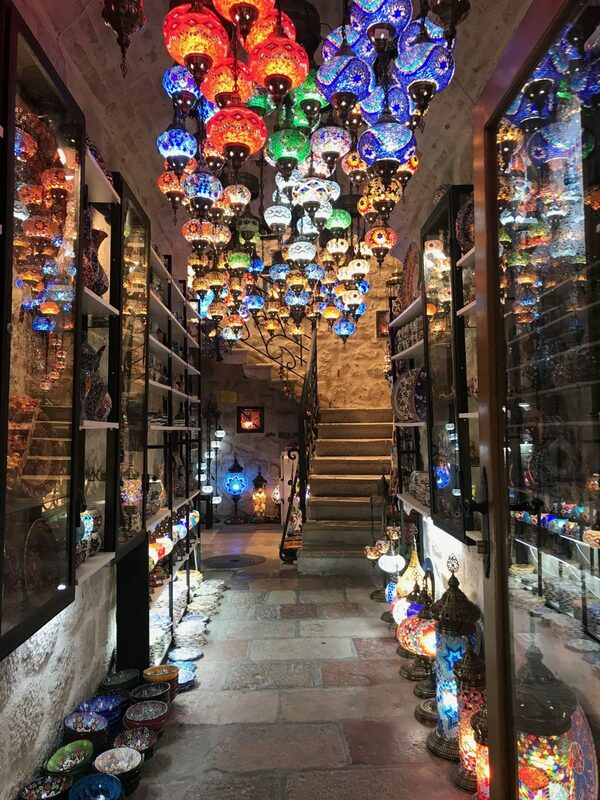 "Dubrovnik, Croatia – What to Do"
"Fall Work Wear – Update your Wardrobe with This Easy Trick"
Beautiful photos and this trip sounds amazing! My hubby would love this because he is such a boat, water and sun person! We both have never been to Montenegro so it would be an experience if we did make it! Wishing you a fabulous weekend and happy Friday! Omg Keke is dangerous! Your whole trip looks awesome. Love the fashion too especially the dominoes haha! Haha right! So nuts! Thank you so much girl! I’ve never even heard of The Yacht Week! This looks like so much fun – and what gorgeous scenery! Wow! This certainly sounds like a lot of fun! I’ve never done any kind of trip with other people – but a party like this looks like a blast. I’m glad you enjoyed the people and the scenery so much! It was so much fun! And thank you so much! Hope you’ve had a great summer! Omg this sounds like so much fun! The dominos suits are so frkn cute! What a fun trip to add to your summer! I’ve never heard of Yacht Week but it looks like SO much fun— glad you had an amazing trip! Wonder if Drake was singing about boat Keke. Hahahah! You guys looked like you had so, so, so much! Hahaha i certainly hope so! 😛 And yes, we had such a blast. This sounds like so much fun!! I have had a few friends do yacht weeks and they loved it! It was definitely an amazing time! Putting this on my bucket list!! Oh my gosh this trip sounds amazing! BRB booking mine right now.. but seriously such an amazing experience except for the whol boat trying to kill you part! Hahaha you so should book! It’s such a great experience.